Home Money Pad the future wallet. 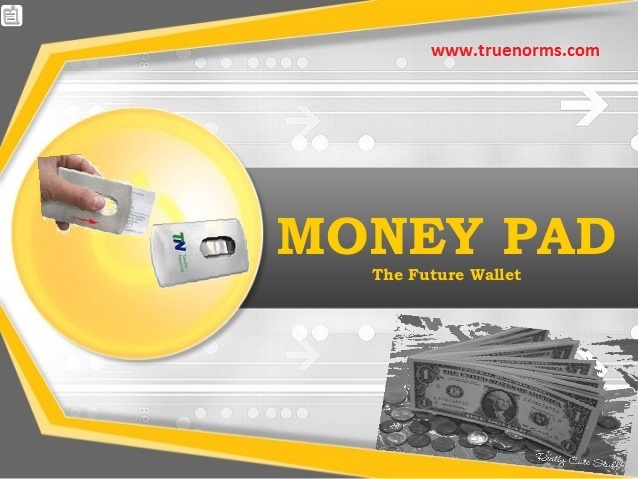 Money Pad the future wallet its advantages & technology. Unknown October 19, 2018 ,Money Pad the future wallet. Every time the user wants to access the Money Pad he has to make an impression of his fingers which will be scanned and matched with the one in the hard disk of data base server. If the finger print matches with the user's he will be allowed to access and use the Pad other wise the Money Pad is not accessible. Thus providing a form of security to the ever-lasting transaction currency of the future "e-cash". Presently due to the usage of computers in almost all the fields the demand for the utilization of Electronic Money have been increased. Payments made today in nearly all of the deposit currencies in the world's banking systems are handled electronically through a series of interbank computer networks. Credit cards and smartcards are widely used to enter into these interbank computer networks in order to perform transactions. These are the popular medium widely existing as a recent medium of currency in the e-cash scenario. The mode of usage and the security provided by these currency mediums are as follows.  Instant clearing of funds is not possible.  User is always under the pressure of limits on purchase defined by the issuer of the card and also every transaction involves certain charges. 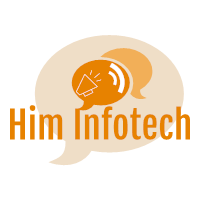  Insecure transactions using fixed encryption.  The card has to be renewed once it is expired. A smartcard resembles a credit card except that it has a microchip embedded within it, which allows the smartcard to store information and sometimes to even perform simple calculations. Common smartcard chips typically holds about 8,000 bytes (characters) of information, which enables the smartcard to perform a variety of functions such as identification, storing bank account information and holding digital cash. Payment information in the form of currency value is stored on this chip and can be retrieved with specially designed card readers.  Risk of data loss due to chip failure. Despite the increasing flexibility, relationship-based cards are credit based and settlement occurs at the end of the billing cycle. There remains a need for a financial instrument to replace cash. To meet this need, banks, credit card companies, and even government institutions are racing to introduce "electronic purses," wallet-sized smart cards embedded with programmable microchips that store sums of money for people to use instead of cash for everything from buying food, to making photocopies, to paying subway fares. The Electronic Purse Works in the Following Manner. After the purse is loaded with money, at an ATM or through the use of an inexpensive special telephone, it can be used to pay for, say, candy in a vending machine equipped with a card reader. The vending machine need only verify that a card is authentic and there is enough money available for a chocolate bar. In one second, the value of the purchase is deducted from the banker on the card and added to an e-cash box in the vending machine. The remaining balance on the card is displayed by the vending machine or can be checked at an ATM or with a balance-reading device. Electronic purses would virtually eliminate fumbling for change or small bills in a busy store or rush-hour toll booth, and waiting for a credit card purchase to be approved. This allows customers to pay for rides and calls with a prepaid card that "remembers" each transaction. And when the balance on an electronic purse is depleted, the purse can be recharged with more money. As for the vendor, the receipts can be collected periodically in person—or, more likely, by telephone and transferred to a bank account. While the technology has been avaikble for a decade, the cards have been rektively expensive, from $5 to $10. Today the cards cost $1, and special telephones that consumers could install at home to recharge the cards are projected to cost as little as $50. A simple card reader would cost a merchant less than $200. Electronic checks are another form of electronic tokens. They are designed to accommodate the many individuals and entities that might prefer to pay on credit or through some mechanism other than cash. Buyers must register with a third-party account server before they are able to write electronic checks. The account server also acts as a billing service. The registration procedure can vary depending on the particular account server and may require a credit card or a bank account to back the checks. Once registered, a buyer can then contact sellers of goods and services. To complete a transaction, the buyer sends a check to the seller for a certain amount of money. These checks may be sent using e-mail or other transport methods. When deposited, the check authorizes the transfer of account balances from the account against which the check was drawn to the account to which the check was deposited. The e-check method was deliberately created to work in much the same way as a conventional paper check. An account holder will issue an electronic document that contains the name of the payer, the name of the financial institution, the payer's account number, the name of the payee and amount of the check. Most of the information is in uncoded form. Like a paper check, an e-check will bear the digital equivalent of a signature: a computed number that authenticates the check as coming from the owner of the account. And, again like a paper check, an e-check will need to be endorsed by the payee, using another electronic signature, before the check can be paid. Properly signed and endorsed checks can be electronically exchanged between financial institutions through electronic clearinghouses, with the institutions using these endorsed checks as tender to settle accounts. • They work in the same way as traditional checks, thus simplifying customer education. • Electronic checks are well suited for clearing micro payments; their use of conventional cryptography makes it much faster than systems based on public-key cryptography e-cash). • Electronic checks create float and the availability of float is an important requkement for commerce. The third-party accounting server can make money by charging the buyer or seller a transaction fee or a flat rate fee, or if can act as a bank and provide deposit accounts and make money on the deposit account pool. • Financial risk is assumed by the accounting server and may result in easier acceptance. Reliability and scalability are provided by using multiple accounting servers. There can be an inter account server protocol to allow buyer and seller to "belong" to different domains, regions, or countries. You all must agree that the major issue of concern while doing paying is security. In the next section we will discuss one of the Electronic Payment Systems that is more secure as compared to the above discussed schemes. Money Pad the future wallet. Labels: Money Pad the future wallet.